Synopsys’ 30 years of leadership in EDA, combined with PhoeniX OptoDesigner’s and the RSoft products’ 25 years of leadership in photonic design automation (PDA), positions Synopsys to provide a best-in-class photonic integrated circuit (PIC) design flow. We facilitate first-time-right PIC manufacturing. Ready to join the PIC revolution? 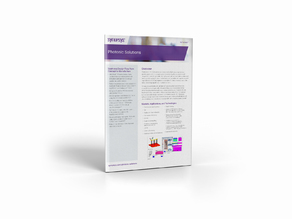 Select from the industry’s largest portfolio of photonic device simulators to design waveguides, nanostructures, and other components for your PICs. Model and optimize PICs at the system level, including coupling and feedback of optical and electrical signal paths. 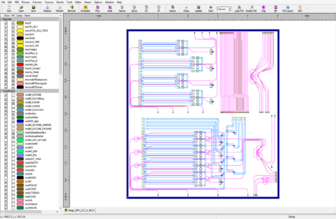 Access photonic-aware physical layout capabilities to synthesize PIC layouts for fabrication, enabled by support for foundry-specific process design kits. 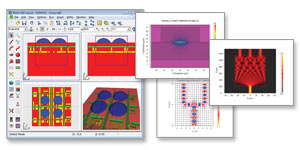 Design for manufacturing with OptoDesigner tools and Sentaurus Process and Topography to optimize existing processes and develop new process flows. Our latest releases create an even more seamless flow from photonic device development and PDK creation to PIC circuit design, layout implementation, and verification. 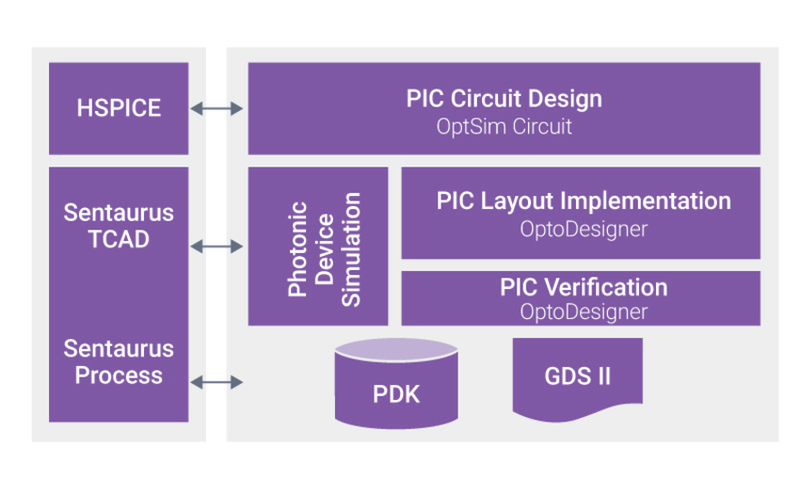 Synopsys, an early partner of AIM Photonics, is driving the advancement of photonic integrated circuit technologies with its PIC Design Suite, which includes OptSim Circuit and OptoDesigner tools. Thermal effects are difficult to quantify, but they can disrupt optical signals and reduce the lifespan of lasers. Inside of data centers, photonics needs to be more tightly integrated and better characterized than what is done today with plug-in modules. 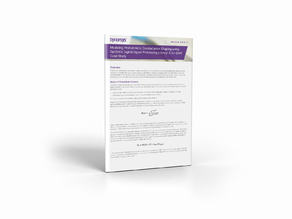 Not only does Synopsys have the most complete photonics and optical solutions offering, but they also boast the most comprehensive PDK support for photonic foundries and package suppliers.